Portland, OR is widely known for its wealth of dark-pop songwriters, and Southerly is one of its very best. The nom-de-tune of Krist Krueger, Southerly has announced the release of a lush, layered new work titled Champion Of The Noisy Negativists and Pacific NW dates to celebrate its release. The digital/CD/vinyl EP via the Self Group imprint follows the artist's celebrated 2007 album, Storyteller And The Gossip Columnist (Greyday Records). Listen to the MP3 for "Trials" from Champion HERE. Watch the new video for "Trials" HERE. And, "Soldiers" (MP3 and VIDEO) from Storyteller. Southerly plays a special release party for Champion Of The Noisy Negativists on May 6th at the Doug Fir Lounge. Every paid attendee will receive a complimentary download with the price of admission. A special performance in Seattle, WA follows May 20th at the Sunset Tavern. Picking up where the latest full-length, Storyteller And The Gossip Columnist left off, listeners can hear the natural progression toward what ultimately became Champion: a swooning, eerie, beautiful, morose and uplifting soundscape that serves as an undeniable reminder of the tension, release, intensity and intrinsic harmony that all of us experience and celebrate in life. Unlike the previous disc, Champion is a largely instrumental affair, using vocals as additional layers, rather than the music's guide. Champion Of The Noisy Negativists is a continuation in the evolution of songwriter/producer Krist Krueger, whose work has often been compared to fellow moody pop artists The National, Brendan Benson, Richard Ashcroft and Tindersticks. Predominantly recorded at Krueger’s own Sonic Sandbox (Portland, OR) and completed at Haywire Studios (Portland, OR), Champion was engineered by both Krueger and Robert Bartleson and produced by Krueger. Are you a champion of the noisy negativists? The EP is dedicated to and in memory of Jeff Hanson, please visit www.myspace.com/jeffhanson to learn more about him and his beautiful music. Just after Austin, TX instrumentalists My Education played a sold out hometown album release show yesterday, the quintet has announced summer US tour dates. The group's latest album is comprised of parts from their original score to director F.W. Murnau's 1927 silent film classic, "Sunrise: A Song of Two Humans". The soundtrack, fittingly titled Sunrise, will be released on CD, LP and digital download this Tuesday, April 27th via Strange Attractors Audio House. Select tour dates in support of the album will feature live accompaniment to the film. See complete dates below. Check out "Oars", the first MP3 from Sunrise HERE. 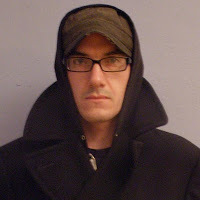 Additionally, a disc of remixes from the album is currently in the works, with tracks being reworked by members of Pelican, A Place to Bury Strangers, Many Birthdays and others. For the past ten years, Austin, TX instrumentalists My Education have splashed their cinematic sound all over the great silver screen that is the Central Texas sky, painting their stories using feedback-laden guitars, swirling melodic viola, rhythm section storm clouds, and flourishes of vibraphone, bells, strings and horns. Claiming five full-length albums, a 12" vinyl collaboration with avant-hip hop duo Dalek, remixes by members of like-minded bands Kinski, Pelican, Red Sparowes, and A Place to Bury Strangers, and several singles and compilation appearances, My Education have cultivated a loyal underground following. 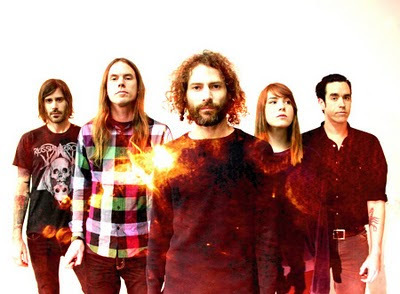 The band spent most of 2009 working tirelessly on the follow-up to their previous acclaimed LP, Bad Vibrations (Strange Attractors, 2008). Tucked away in the studio, they have captured a calamitous but oddly compelling tension, building to a crescendo of pure ecstasy with their latest and greatest triumph, Sunrise. Comprised of pieces from the band's original score for Murnau's silent masterpiece, My Education has discovered the perfect forum for which to flex their compositional muscles, achieving ever-transcendent musical heights in the process. This original score was perfected over the last two years through live scoring to the film, performed at sold out shows from coast-to-coast throughout the USA. Just as the music provides new context to the film as a live accompaniment, Sunrise flashes brightly from the speakers, sparking vivid and lush imagery for the listener. Finding parallels to the timeless soundtracks-as-albums Popol Vuh composed for a number of Werner Herzog's films - music with such visual distinction that it went on to become both synonymous with the screen and the band's legacy - Sunrise leaps onto celluloid with confident grace, distinguishing itself as My Education's most diverse and mature release yet. Check out the Austin-American Statesman's dramatic backstory tale of murder, joy and tears in the making of the album. Recorded byThe Bump Boyz at Headbump Studios, Austin, TX. Mixed by Jason Buntz & Chris "Frenchie" Smith at Bubble, Austin, TX. 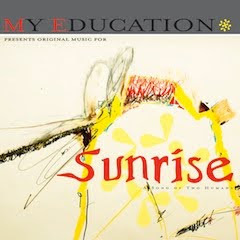 Sunrise hits stores on April 27, 2010. 04/30 Houston, TX @ Kohn's Bar "Lost In Space Fest 2"
London UK trio Nedry -- whose dazzling fusion of electronica, instrumental rock, dub-step rhythms and hauntingly beautiful vocals has generated a wellspring of excitement in the UK media -- has posted a new video clip to preview the U.S. release of its debut album Condors. The disc arrives stateside via Monotreme Records (65daysofstatic, Jeniferever, Barzin) on April 20th, 2010. Condors has been met with a wellspring of enthusiasm overseas from BBC Radio, XFM Radio, Uncut Magazine, Q Magazine and many more. And, U.S. media outlets are likewise taking interest as the album release approaches. Nedry tours the UK this spring with 65daysofstatic as well as headlining dates in the UK and Europe. See complete dates below. Check out the MP3 for "A42" from the album HERE. The third video from the album, "Swan Ocean" is available HERE. Watch previous videos for "A42" (VIDEO) and "Apples & Pears" (VIDEO). Nedry is Matt Parker, Chris Amblin and Ayu Okakita. 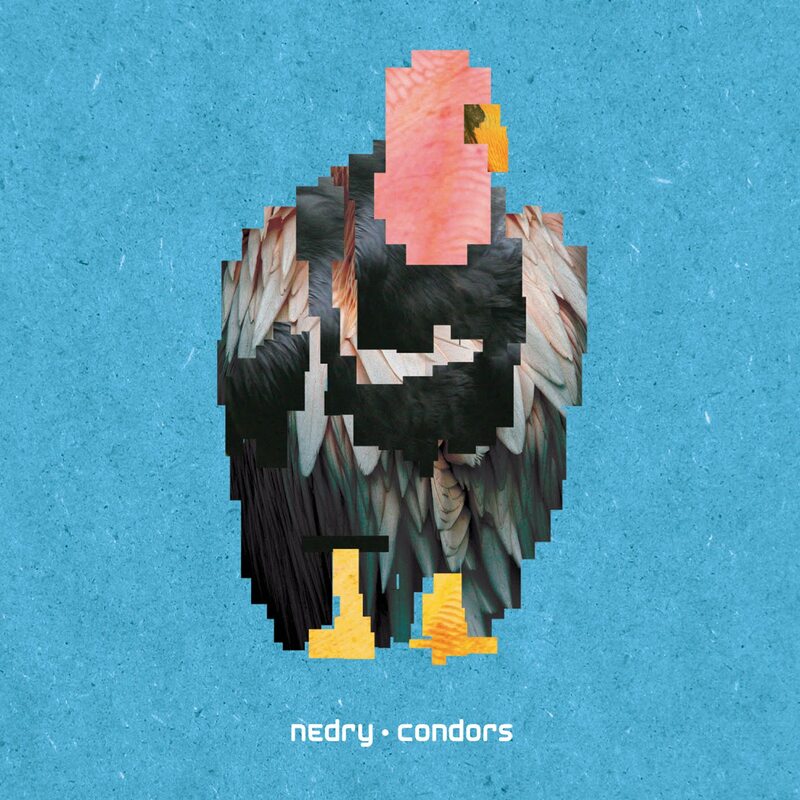 Nedry create music to bounce to, rock-out to and get lost in. Their beautiful sound and arresting beats are from and for the "post-" generation. Their sound is dark and ambient but broken-up and lifted by moments of glitch and fuzzy, melodic guitars. Both live and on record they use innovative production techniques to create a truly original sound. Nedry started performing, producing and recording in summer 2008. In a little over a year they've made waves on the UK electronic music scene, sharing stages with the likes of Pivot (Warp), Maps (MUTE), The Gaslamp Killer (Brainfeeder) and Daedelus (Ninja Tune). 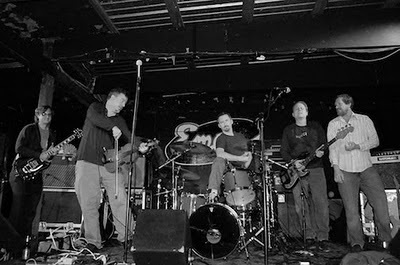 Nedry have steadily gathered critical acclaim since the self-released SZ EP, and support from the likes of Q Magazine and The Times as well as airplay on a host of radio stations including XFM, Resonance FM, BBC 6Music and BBC Radio 1 has assured them as one of the most exciting bands to emerge in 2009. 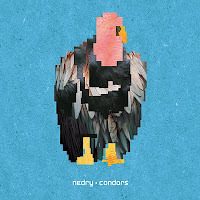 BBC Radio 1 DJ and new music guru Huw Stephens in particular has championed the Nedry sound, inviting them to the famous Maida Vale studios to record a live session for his show. The visionary record label and management company Sargent House has announced it will offer two releases available exclusively to independent retail stores in honor of Record Store Day, Saturday, April 17th, 2010. The Los Angeles company's flagship band RX Bandits will issue the Live At Park Ave CD and Grammy Award winning guitarist/composer Omar Rodriguez-Lopez sees the vinyl release of his latest effort, Solar Gambing. Record Store Day is a celebration of independent music retailers that involves a collective of over 700 stores in the U.S. and hundreds of similar stores internationally. For more information about Record Store Day and participants nearby, go HERE. RX Bandits perform at the Coachella music festival on Record Store Day, and will be doing a special signing at the Zia Records tent. 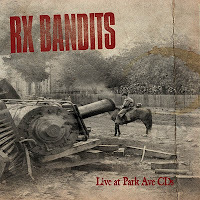 Recorded on July 20th, 2009 at the renowned independent record store Park Ave CDs in Orlando Florida, RX Bandits Live At Park Ave showcases stripped-down acoustic versions of the band's most eminent songs. The in-store performance was recorded on the eve of the release of their latest album, Mandala, and finds RX Bandits exploring a more delicate side to the dynamic and powerful rock they've become synonymous with since their inception in 1999. 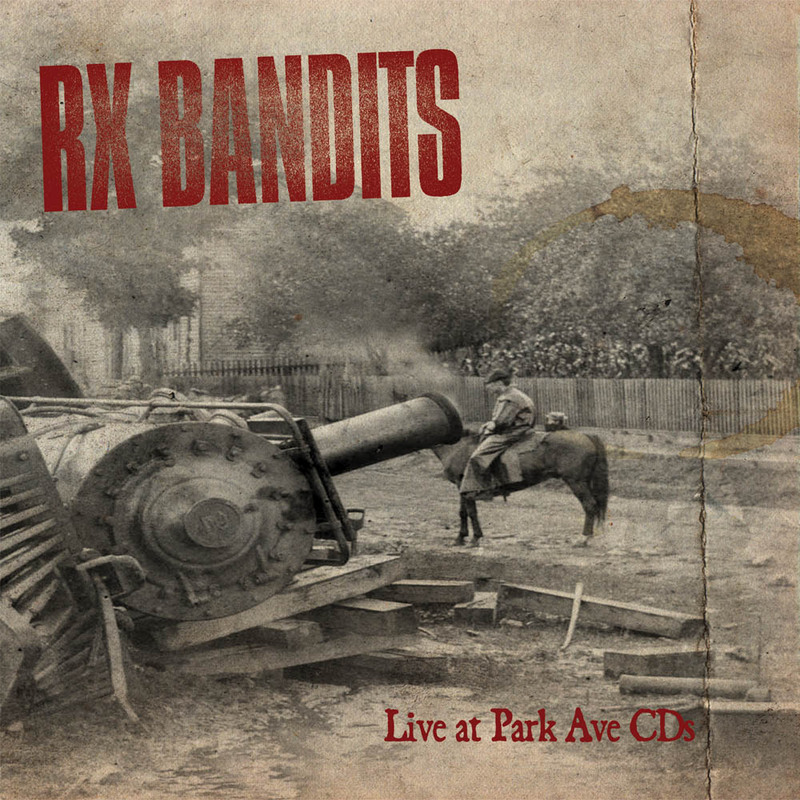 In celebration of this special event and the culture created by independent music stores, RX Bandits Live At Park Ave will be released exclusively to indie retailers as part of Record Store Day 2010. A companion album, of sorts, to the recent Xenophanes full-length, Solar Gambling is the latest studio recording from Omar Rodriguez Lopez, an energetic collection of soaring, emotional compositions, tightly wound around the skills of some of the most accomplished players in contemporary rock. 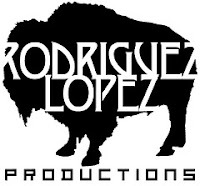 Recorded in Zapopan, Mexico, the album features nine tracks, some of which were debuted live during the Omar Rodriguez Lopez Group’s Spring 2009 European tour and were at that time unknown to fans of Rodriguez’s extensive solo output. A handful of the songs were performed and broadcast live on the BBC while the band were in London, but have been unavailable commercially until now. 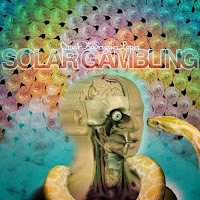 Solar Gambling is rampant with surrealist themes and topics primarily concerning spirituality. Inspired by the Spanish-Mexican surrealist painter, Remedios Varo Uranga, the album is, according to Rodriguez Lopez, a tribute to the spirit of her work. Album: Live At Park Ave.
Los Angeles epic, heavy quintet Red Sparowes releases its third full-length album today, just days after launching a North American headlining tour. The album, titled The Fear Is Excruciating, But Therein Lies The Answer is released via Sargent House today, April 6th, 2010 on CD, LP and digital download. Red Sparowes will be accompanied on sections of the tour by Doomriders, Caspian and Fang Island. See complete tour dates and album track listing below. Check out the first MP3 track off the album, "Giving Birth To Imagined Saviors" posted HERE. A video teaser for the album has also been posted HERE. There has never been as pronounced of a leap in style and scope as with Red Sparowes' latest offering. The Fear is Excruciating, But Therein Lies the Answer maintains their layered arrangements and swirling amplified crescendos, Americana noir soundscapes (punctuated by the extended pedal steel on “In Every Mind”), and gloriously triumphant melodies (“Giving Birth to Imagined Saviors”). Earlier records focused on the larger scope of the album, but the new album is song-centered, with the individual tracks harboring stronger independent identities. And where previous endeavors found the band propelled by enormous walls of sound, they now temper their monolithic progressions with distinct passages of separated and soft-spoken instrumentation. Red Sparowes were suspiciously absent from the playing field over the last three years, and now it’s apparent that they were busy drafting the grandest statement and finest achievement of their existence. Thunderheads storming across the prairie, outraged students taking to the streets, migratory herds stampeding along the tundra--any number of images could describe the grandiose scope of Red Sparowes’ lush vignettes. Wielding both a master’s sense of nuance and an outsider artist’s unhindered expressionist zeal, the Los Angeles quintet created a catalog of haunting and hallucinatory guitar orchestrations over the course of the millennium’s opening decade. 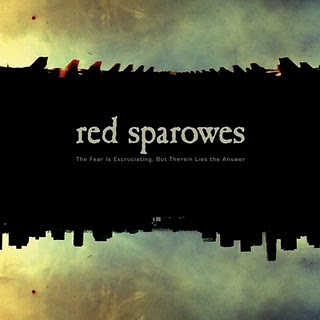 With two albums, a string of split releases, multiple U.S. and European tours, and a number of line-up changes under their belt, Red Sparowes have issued their most impressive creation to date, The Fear is Excruciating, But Therein Lies the Answer. Though Red Sparowes’ music thrives unbound by narrative, the band provides a roadmap to their muse. Their 2005 debut album, At The Soundless Dawn, cast the scientific inevitability of the Sixth Extinction into a grand funeral oration, revealing the message within the individual track titles. Their second full-length, Every Red Heart Shines Toward the Red Sun (2006) provided a synopsis of the Great Sparrow campaign of the Great Leap Forward, laying bare its conceptual role. The Aphorisms EP (2008 digital, 2009 12" vinyl) served a thematic precursor to the new album. Red Sparowes' latest offering, The Fear is Excruciating, But Therein Lies the Answer, began with the larger existential pondering of truth, faith, order, causality, and the innate demand for an understanding of the larger world around us. While Red Sparowes’ majesty is hardly in need of story, the provision of the larger metaphor yields a heightened depth and gravity to their work.